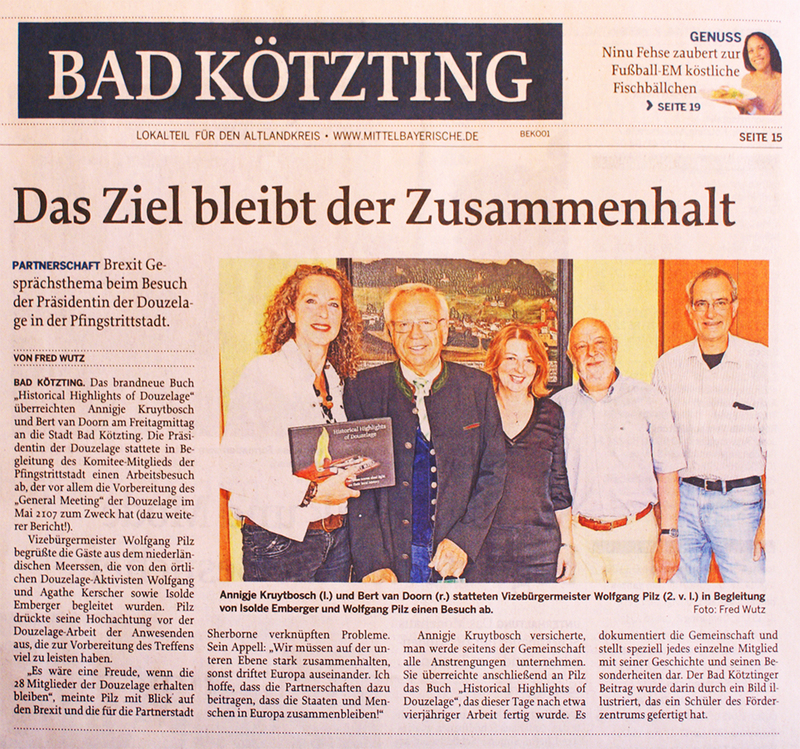 Today in Kötztinger Umschau and Kötztinger Zeitung. The newly elected president Annigje Kruytbosch met with the vice Mayor, Wolfgang Kerscher and Isolde Emberger in Bad Kötzting to discuss the coming General Meeting in Bad Kötzting in 2017. Discussions on the topics that are te be adressed were fruitful.